Looks like OnePlus 2 is gonna lose some fans soon, after it scored just around 50K on AnTuTu Benchmark Test. 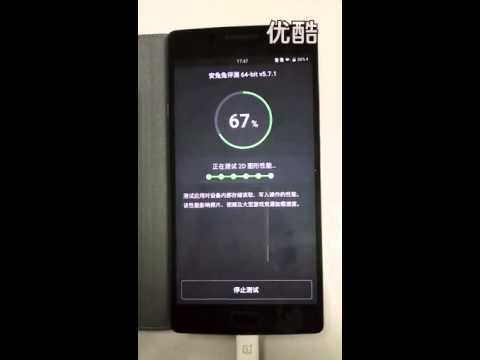 A new video has surfaced on the web, which shows the OnePlus 2 going through the test and it scored just 49,221, which is considered to be fairly low for a flagship device. The AnTuTu test shows that the OnePlus 2 has a 1080 x 1920 resolution screen, whereas according to the recent TENAA certificate, OnePlus 2 has a 5.5-inch screen carries having a resolution of 1440 x 2560 resolution. Also, the video shows that the OnePlus 2 has 16GB of internal storage. The TENAA certification reveals that the device has 32GB of native memory. Perhaps there is more than one variant of the OnePlus 2, which is a reasonable assumption. The test was for the A2001 model. A GFXBench test run by allegedly by a OnePlus 2 device with the model number A2003 revealed that it had 4GB of RAM. OnePlus 2 will be unveiled tomorrow and we are pretty excited about it. We could see a version with a FHD resolution screen, 3GB of RAM and 16GB of native storage (A2001) and a premium model (A2003) with a QHD resolution screen, 4GB of RAM and 32GB of native storage. Keep checking us this weekend for last-minute leaks. And, of course you will find every single news related to OnePlus 2 launch here on Monday.